Andrew Stranack is to be the Conservative candidate in the forthcoming Croydon North by-election, Inside Croydon has learned. Stranack’s selection was confirmed at a constituency meeting on Wednesday night. It will be the second time that he has stood in a south London parliamentary election. The Croydon North by-election, caused by the death of Labour’s Malcolm Wicks, is expected to be held on November 15. Stranack joins Marisha Ray, for the LibDems, and UKIP’s Winston McKenzie among the candidates named so far. Labour is expected to name its candidate next week. The Conservatives planned to announce Stranack’s selection on Friday afternoon, after Wicks’s memorial service at Croydon Minster, although they circulated the nomination details to members across London in an email from Tory Central Office appealing for campaigning help. Gavin Barwell, Croydon Central’s MP, will take time off to lead the Conservative push in Croydon North for the short campaign. Barwell’s job before entering Parliament was in campaigning, first as the most senior campaign officer in the Conservative party and then in the pay of Lord Ashcroft. For this election, Barwell’s campaign HQ, according to the e-mail, is to be the Conservative Club on Brigstock Road at Thornton Heath. Stranack was chosen ahead of two black women candidates, including second-placed Tirena Gunter, who has come close to winning a council seat for the Conservatives in north Croydon before. The selection has, though, shown some astute judgement in going for Andrew Stranack, whose background gives him a firm understanding of Croydon’s social problems. Born with cerebral palsy, Stranack, 42, has good Croydon connections, having grown up in the borough and worked for the council. Most recently, he has been active with Croydon’s Jubilee church, pursuing a charitable self-help agenda for the needy, socially excluded and dispossessed, and now working with Ment4, who say that they do supportive work “with NEET (not in employment, education and training) young people, ex-offenders and those vulnerable to criminality in the South London area”. Town Hall sources suggest that Stranack has recently had cause to complain over a council funding cut to one of his community causes, an experience he shares with a growing number of organisations in the north of the borough. Stranack is well-connected within the Conservative party. Last month, he attended a reception at No10 Downing Street, and he is involved in former party leader Iain Duncan-Smith’s Centre for Social Justice, which believes that the country “must make work pay” and that the benefit-dependent poor need to be driven to take responsibility for their own plight. The liberal media was certainly charmed in the last General Election by Stranack. The Guardian spoke well of Stranack when he was running against Harriet Harman in Camberwell and Peckham. At that election, against a minister from an unpopular government, Stranack increased the Conservative vote in a traditionally Labour seat by 3.1 per cent, but the Tories still remained in third place. Stranack had also been a Conservative council candidate in 2006 in New Addington’s Fieldway ward where he trailed the other Conservative candidate badly by 200 votes, securing only 477 votes. Stranack was on the Conservatives list for the top up seats for the London Assembly earlier this year – he was too far down that list for any realistic hope of election. However modest his previous electoral performances, Stranack is unusual as a Conservative candidate. Educated at an independent school, he has lived on disability living allowance. Stranack drew that disability benefit when he left the employment of Croydon Council and worked to build an evangelical Christian community supporting those in need on the Monks Hill estate. There are some notable community heroes in the Monks Hill Residents Association who despite their own personal challenges will have worked constructively on social problems with the Jubilee church and Stranack. 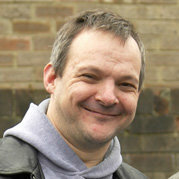 Councillor Jason Cummings is an associate of Stranack’s as a Monks Hill resident and Jubilee church member. Barwell’s assistance in the campaign will be a good fit, as Stranack has worked with the MP on running a jobs club on Monks Hill. This entry was posted in 2012 by-election, Andrew Stranack, Charity, Church and religions, Community associations, Croydon North, Gavin Barwell, Marisha Ray, Thornton Heath and tagged Conservative, Croydon, Croydon Central, Croydon North, Gavin Barwell, Labour, London, Malcolm Wicks. Bookmark the permalink.